The R.A.F. 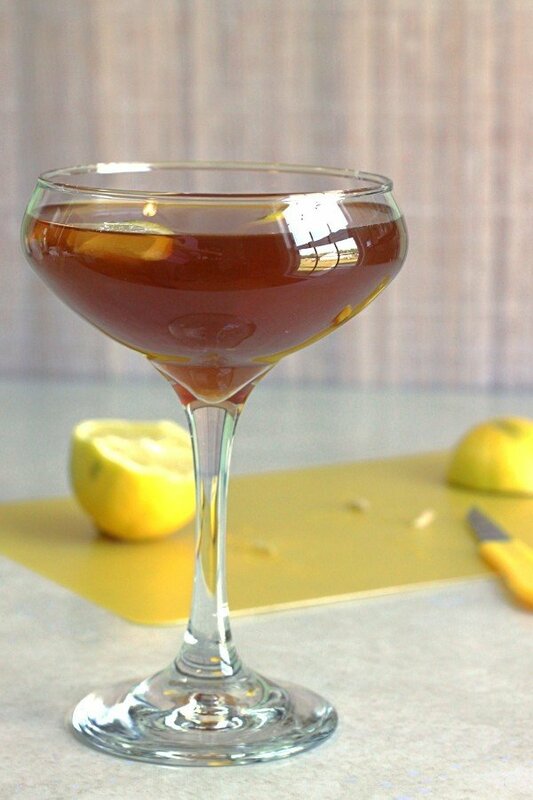 Cocktail is applejack and apricot brandy, with an ounce of lemon juice to cut the sweetness. The combination of apple, apricot and lemon is refreshing – mostly sweet, but a little bit tart. 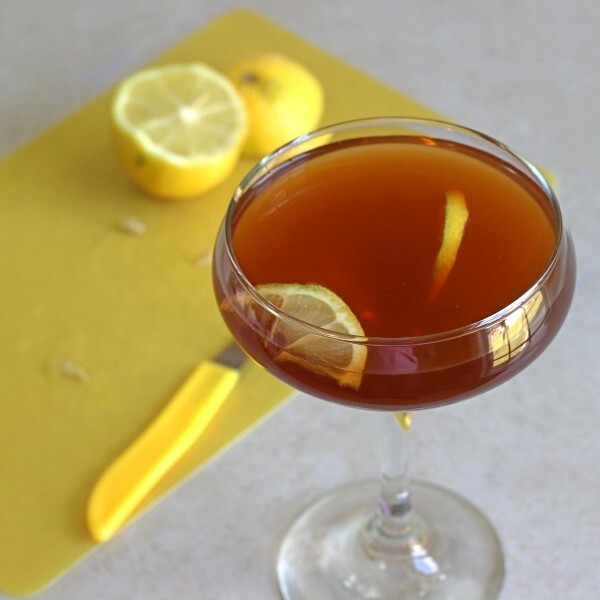 This is the sort of cocktail that’s ideal for sipping. 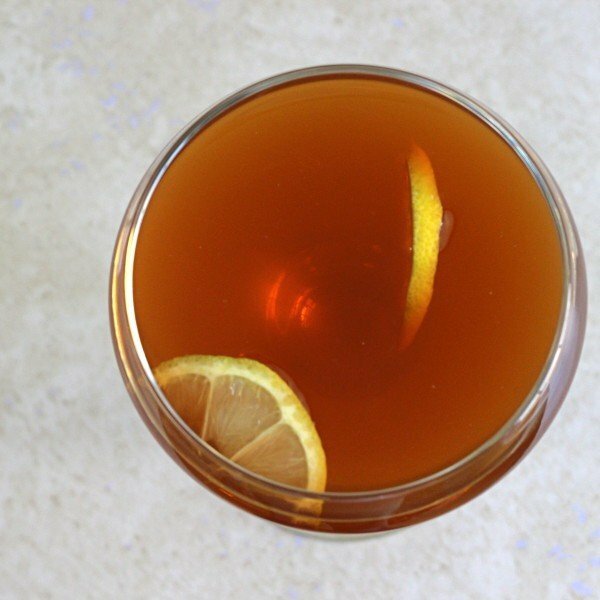 It’s fairly strong and absolutely delicious, and therefore best enjoyed when you’re not trying to do anything that involves a lot of coordination. Just sit down and tuck in! You can use a half-ounce of lemon juice if you prefer it sweeter. Shake everything in a shaker with ice. Strain the mixture into a chilled brandy snifter or cocktail glass. Garnish with a twist of lemon.